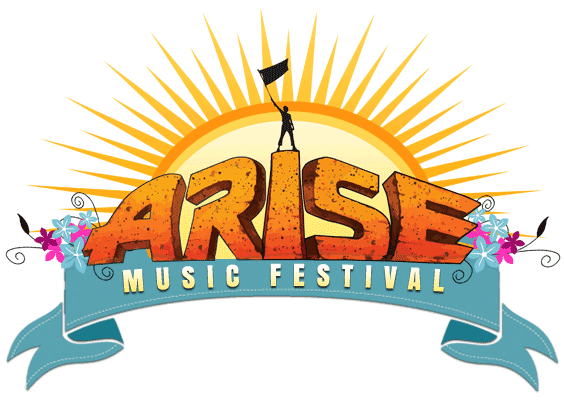 Simplify your festival schedule with schedule management tools. Create tracks, organize by session type, and assign custom filters so attendees can find exactly what they want to see. Let attendees reserve a spot or join waitlists for limited-capacity workshops, classes, and sessions. Set capacities based on venue size and make changes as sessions start to fill up. Manage check-in and waitlists onsite and record who attended the session. Ensure the right people are attending each session and review check-in data to optimize your booking for future events. With 20+ sessions starting at 9am, Overland Expo, uses the session types to help attendees differentiate between activities. This adventure filled expo for travel enthusiast happens twice a year with an event in Arizona and one in North Carolina. Their super diverse schedule of events has film screenings, kids activities, and classes for the road trip fanatic. In two days attendees can choose from 450+ sessions tailored to their specific interests. 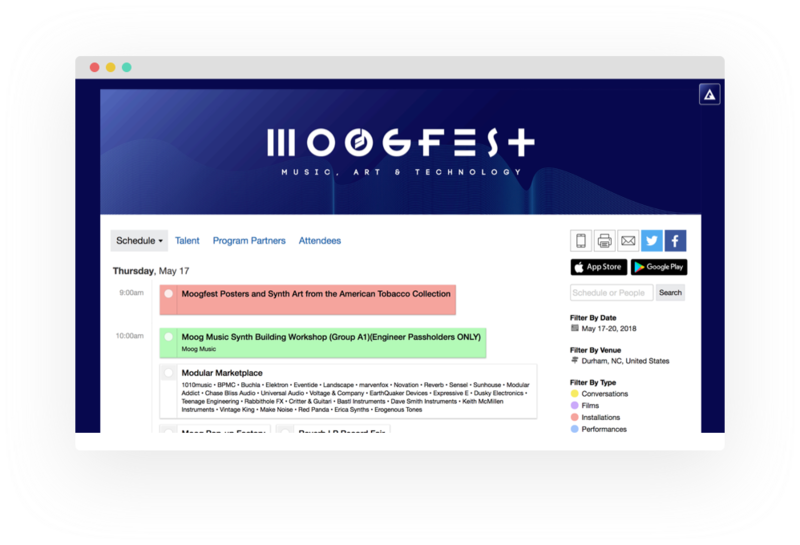 Moogfest is a four-day music, arts and technology festival in Durham, NC each April. They use Sched to manage their high-demand and intimate workshops for music makers. Some sessions have as few as 15 spots for the best learning experience and their thousands of attendees race to claim their spots on the much-anticipated schedule launch day. Attendees can join the waitlist for popular sessions to see if spots open up as people make schedule changes. 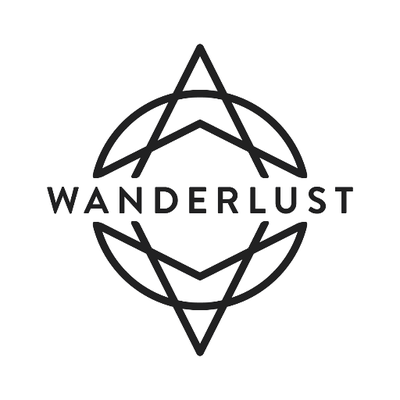 Wanderlust Festival has been using Sched since 2013 to power 40+ events per year. Their attendees have personalized experiences based on the tickets they buy. 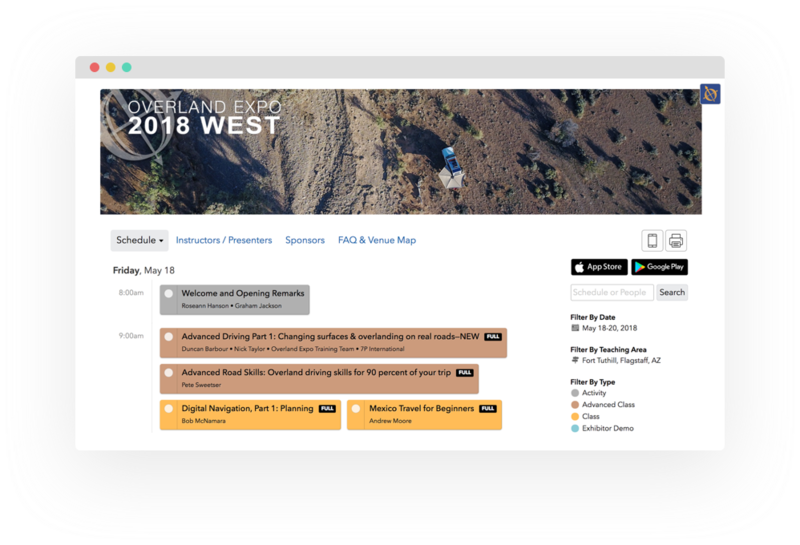 With single day tickets, add-on sessions, and full weekend passes they can manage what their ticket holders sign up for and check-in attendees to their sessions when they arrive. The seamless experience makes scheduling easy for the event organizers and attendees.